By day, Patrica Africa Iglesias Martinez is an office manager. But, after work, she becomes Madame Chic BCN (the BCN is short for her home city of Barcelona). She aims to inspire women over 40 who want to get noticed. Let’s find out more about her style! Hello! 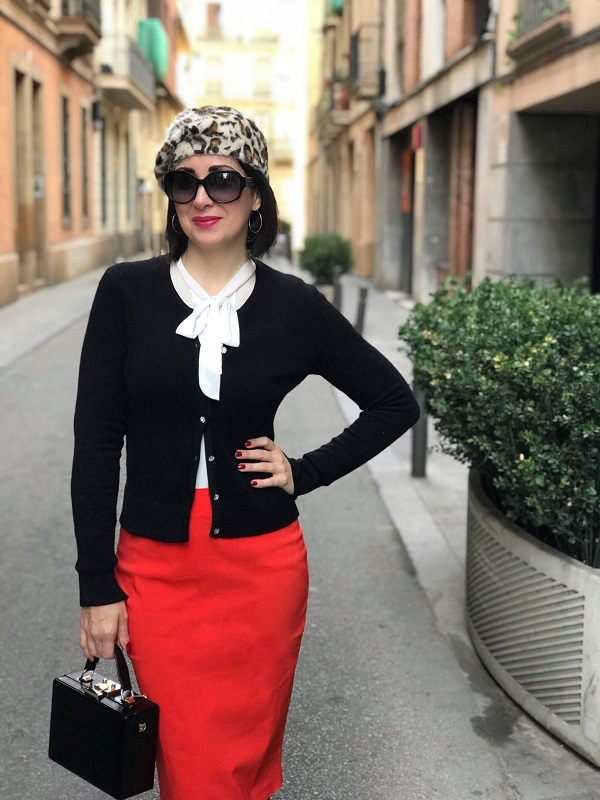 I’m Patricia the author of Madame Chic Bcn blog. I’m a full-time office manager and PA during the day. However, when work is over I become a fashionista who’s constantly taking pictures and creating content for my blog and IG. And guess what? I love it! Sure! I’m 43 years old. Can you tell us a bit more about your blog . Why did you start a personal style blog? I started my blog back in 2011 and to be honest, I don’t remember the main reason why. I suppose I just wanted to share my passion for fashion and thought this would be a great way to do it. As time went by, I realized that people were really interested in my opinions. They started asking me what to wear to weddings or how to dress accordingly to a specific body type. This is when I decided to study a Master in Image Consultancy and Communication, one of the most rewarding experiences of my life. The name of the blog came naturally to me. I’ve been mistaken quite often for a French woman, because of my look and style I suppose. And truthfully, I’ve always thought French women are super chic and classy. Given the fact that I’m not a girl anymore, I opted to go for “Madame Chic”. Classic with a chic twist. That means lots of classic cuts and clothes, midi skirts, berets, hats, gloves and red lips! Color, of course. You would rarely see me all dressed in black. 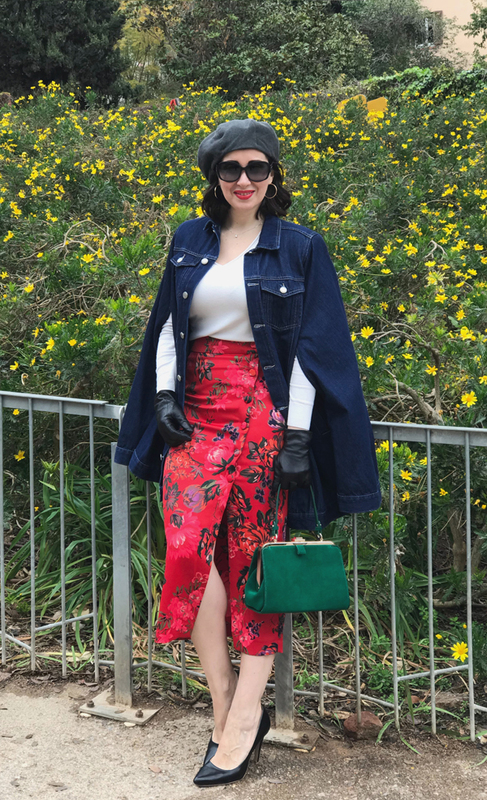 Instead, I love color and always try to infuse my daily look with a pop of red, green, yellow or pink whether it’s on my skirt, jeans, lips, bag or earrings. I live in the beautiful city of Barcelona but to be honest this does not influence my style. 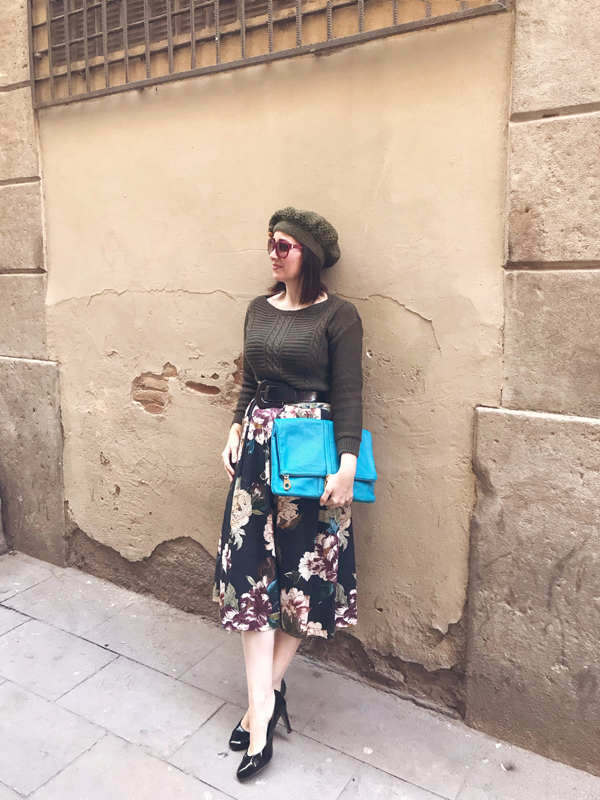 Barcelona people have a very casual-relaxed-comfy style and mine is quite the opposite! Yes I do; midi skirts. 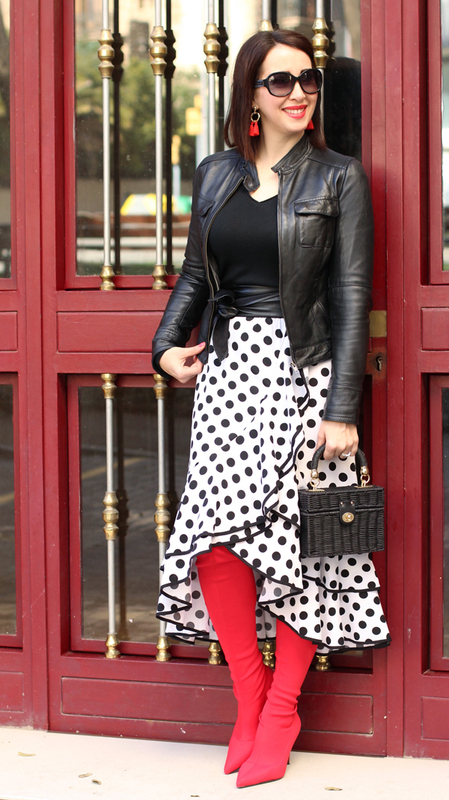 I’m the queen of midi skirts (and I was before they became so trendy! – lol). Fun fact: I’ve created a hashtag called #queenofmidiskirts which I publish on IG every time I post a picture wearing a midi skirt! Comfort for day to day wear. I’m lucky to work in an office where jeans and sneakers are allowed! Yes absolutely. It´s not like I´m obsessed with it but there are colors and clothes I would NEVER wear because I know they don’t flatter my skin nor my body type. For instance some tones of pale yellow and also loose cuts on dresses and coats. I’m an hourglass and my height is 5’ 5”. As I’m not super tall, there are two things that always try to keep in mind when dressing: wearing heels and tight-fitting. When I look for more quality or need special pieces I tend to shop at Üterque, Self Portrait, and Temperley London. Sure! It has become more feminine, elegant and chic. Absolutely. I know many women who are reading this would not agree with me, but I strongly believe that at a certain age women shouldn’t wear certain types of clothes. I’m definitely more interested in everything. Firstly, because I’m more aware of how I look and how that can influence someone else’s perception of me and, secondly, because I find fashion a super fun and very creative way of self-expression in the same way as art, music or literature. I strongly believe in fashion as a way of self-expression. When you look good, you feel good and if you feel good you feel empowered and capable of achieving anything. Like the words we chose to speak, the clothes we put on affect us and the more we care about them, the more likely we are to fall into a path of personal exploration. I might be getting a bit deep here but caring about how you look is a life-affirming expression of your character and soul – just like painting or writing. My mum taught me that. She has been my style icon since I was a child and the way she dressed is a truly reflection of her spirit. She always smelled good and dressed flawlessly because she is a woman who takes care of every single detail in life. I am sure that being raised by her had an impact on my current perception of fashion. I’m very, very strict when it comes to my beauty routine. I’ve got rules like never leaving home without sun protection or I never going to bed with my make up on. And I mean it. I NEVER do! Again, my mum has been my major influence on this as I used to watch her washing her face every night with natural soap when I was a kid. Since I was 18, I’ve been taking care of my skin with 3 basics products: cleanser, lotion and moisturizer. Now that I am in my 40´s, I have started introducing some other must-have like serums and masks. Some of my favorite beauty brands that have been in my bathroom for years are: Kiehl’s, Avène, La Roche Posay, Nuxe and Carita Paris. A post with my complete beauty routine will be published soon on the blog, so keep an eye on it! I only follow trends that flatter me. Right now, I’m obviously the happiest woman in the world because midi and pencil skirts are one of the biggest trends of the season! Be yourself above any trend or piece of fashion advice some else could give you. Never lose your essence, that “je ne sais quoi” that makes you unique. It’s important to say that I currently have a full-time job, which I don’t intend to quit in the coming months. However, my idea is to carry on writing the blog because this is something that fills me up and pushes me to be more creative, to connect with other people (I’m very shy) and of course… be happier! I’m constantly working on creating new content and intend to add new sections on my blog before the end of the year (like beauty videos and how to style one item in many different ways). So I’m sure that only good things will come in the near future! 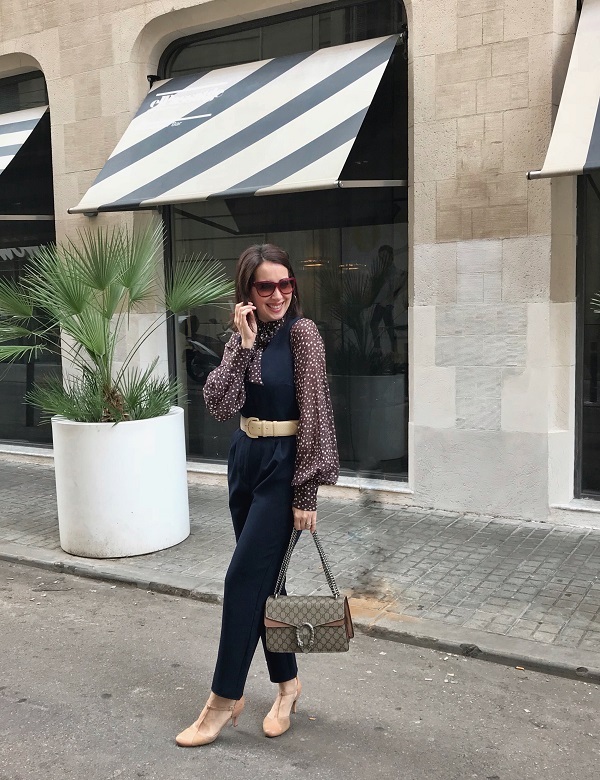 You may see more of Patricia’s chic outfits at Madame Chic Bcn and @MadameChicBCN for Instagram! p.s. The new summer 2018 capsule is here. Check the below video for a quick overview and sign up for the style club to access the capsule and challenge here. 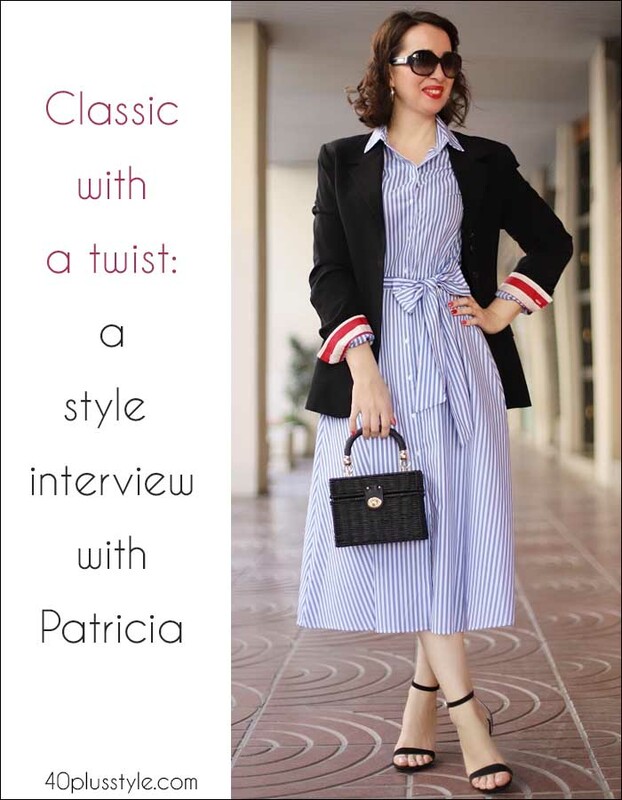 Patricia clearly knows what works for her as she looks GOOD! I adore at least 5 of her outfits. But it would be nice to see somebody with an inverted triangle shape. Iam still hoping to find a role model. Previous post: How to wear capris and cropped pants – an extensive guide!